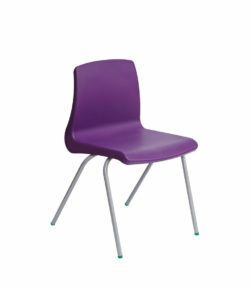 Brilliant chairs, brilliant colours, virtually unbreakable. … and that’s not just marketing “hype !” We have sold thousands of these chairs during the past 12 years and have experienced just three chairs with very minor superficial defects. Now with a TWENTY year guarantee. 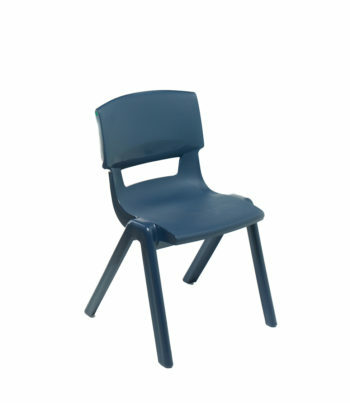 We unreservedly recommend these UK manufactured chairs. Apart from their other qualities, take a look at the colours……From left to right on the row (not all colours available in all sizes), the full range of colours (16) is: grape, pink, powder blue, aqua blue, ink blue, forest green, lime, yellow, orange, red, almond white, ash grey, iron grey, slate grey, black. Postura Plus chairs are virtually vandal proof. They make life easy for premises managers and teachers alike, as well as being comfortable for students. There are no bolts, screws or other fittings which can be removed or tampered with. Postura Plus chairs are robust, easy to stack and easy to carry. 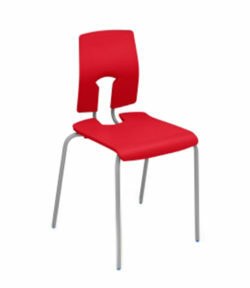 Every Postura Plus chair comes with a TWENTY year warranty. Choose from the list of 16 colours listed above. 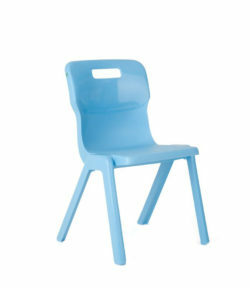 If you need to link these chairs together (to comply with Fire Regulations) you can specify link attachments (460 mm size chairs only) at an additional cost of £ 8.90 per chair. 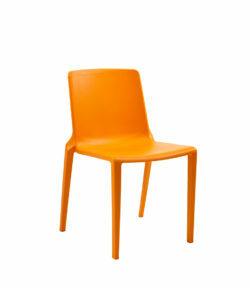 FREE DELIVERY to most UK postcodes for orders of 40 or more chairs. Terms & conditions apply. Prices exclude vat.